Catchy title, right? It is true. Cows, one of the most known and consumed animal protein (muscle) sources in the world are themselves vegan! Ever thought about that? What does being vegan mean though? For cows, it means grazing the fields, eating lush grasses. For people it very simply means to eat vegan is to eat only plant based foods; nothing being of or from an animal. That includes eggs, dairy, fish/seafood and yes, this might be surprising, honey as well! Now this may throw some off track immediately. Born and raised in a meat and potato society, the mere idea of no meat or dairy, especially at dinner, is, well, frightening and certainly foreign. It seems near impossible, insurmountable and overwhelming. It seems plain weird in fact to many. But make no mistake about it, vegan nutrition is a powerful element of a healthy lifestyle- particularly so in cleansing, healing and restoring the body. Yet, many have concerns when considering vegan nutrition. One common misconception is a lack of protein, thus the title of this article. Yes, cows are vegan and look at the muscle mass they carry simply from eating grass. And they are not alone. So the idea that vegan means low protein and no muscle is out the window with just one glance in a meadow. Plant based foods are rich in proteins. Grains, dark leafy greens, legumes, seeds and nuts are among the best sources for protein. And those are just the primary sources. So a vegan consumer is not restricted to grass like a cow! There is a bounty of incredible foods from which to choose daily and they all combine to empower a lifestyle of wellness! The real keys are variety, quality and quantity. Diversity is essential to get all the nutrients needed for health. By consuming a rainbow of foods in every meal, a vegan is assured of nutritional balance. Quality, as with any nutrition, is also vital and that means no toxins of any sort- as close to nature as possible. Keep it clean and keep it real. And since, without the heaviness of meats and saturated fats, the body quickly assimilates and applies the nutrition provided, much more can be eaten without negative results! Win, win, and win again, right? And that leads to the benefits of vegan as a lifestyle of wellness. And there is, of course the cost factor. Pound per pound, vegan foods are far cheaper than animal products. So there is no economic, no nutritional excuse and no environmental excuse to run from vegan foods. 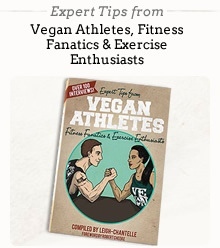 Vegan is a powerful lifestyle of wellness that deserves great consideration. Vegan heals, restores and empowers the body for a healthy life. Time to go shopping…choose the rainbow and the highest quality available and go make a beautiful vegan meal for awesome vegan health! Carl Mason-Liebenberg, is a Wellness and Weight Loss Specialist, Author, Fitness Coach, and a Leader in Creating a Lifestyle of Wellness. His passion is for those who suffer from poor nutrition, related illnesses, addictions and overweight conditions. He has recently launched an online program, 360XBT to help you reach your weight loss, fitness and health goals.